How can a small business compete with bigger companies and keep local customers in the local area, rather than losing them to the attractions of city centres or out of town shopping complexes? By rewarding customers for their loyalty. This may be difficult to do on your own, but by getting together with other businesses in your neighbourhood you can really make an impact. By developing a customer loyalty reward scheme, offering discounts and other perks, you can encourage people to do their shopping close to home. What is a Customer Loyalty Scheme? 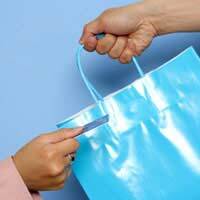 A customer loyalty scheme involves identifying regular customers and offering them incentives to shop with you. Many big companies do this by offering store cards. A store card scheme is expensive for a small business to run on its own, and not very influential if you can only supply a fraction of your customers' needs, but if you get together with other local businesses you can make it much more effective. To run a scheme like this, you need to get business owners together to discuss what level of discounts you can afford to offer to customers who register with you. Even a ten percent discount can make a big difference to people's shopping habits. You can then advertise the fact that customer membership of your scheme - with free registration - means those discounts can be obtained at any registered business. You may be able to persuade your business enterprise partners to offer other perks such as small free gifts, a fee drink with a meal, etc., in the knowledge that these will encourage members to visit their premises specifically. It's important to make registered customers feel that they're part of a club, enjoying special privileges - to build a community spirit. To set up your scheme effectively you'll need to get a plastic card produced for members. Ideally this should be printed or laminated to discourage forgery, but you shouldn't worry if more than one member of a household uses it - after all, if it means extra customers in any case, you're not losing out. Getting customers to register for the card is, however, a useful chance to collect information on them which may help you to understand them better and target your advertising more effectively. Just be careful that you handle this data responsibly in accordance with the Data Protection Act (which you can find online). Let customers know about your customer loyalty scheme by promoting it with posters on your premises, and talk to them about it whenever you get the opportunity. Make sure that every business involved displays the same posters and same logo prominently, so that customers can easily identify scheme members. Don't require customers to do anything more complicated than showing their cards to claim their discount - make the whole process as easy as possible for them. One good way to get more people involved in your customer loyalty scheme, with minimal effort on your part, is to make your customers your recruiters. Offer them extra rewards when they bring in new people to register for the scheme. This will mean that you always have a supply of new members. Although loyalty schemes of this sort are primarily aimed at encouraging people to shop locally, don't restrict your scheme to people who live locally. It's convenient for some people to shop in areas where they work or where they regularly visit friends and relatives. These people can also make a contribution to the local community and their custom can be worth hanging onto. Customer loyalty schemes are a great way to connect people and business and keep your customers coming back for more. They also strengthen the local business community and help to streamline working relationships with lots of potential for all involved.